Cooper, John W. ★ Coughlin, Richard H.
Dondna, Benjamin S. ★ Graham, Frank B.
Leaske, Peter ★ Lee, Delbert H. ★ Linter, Charles B. Parks, William H. ★ Rearic, Reuben ★ Tower, Julius T.
The memorial is located at Marshall Veterans Memorial Park on eastbound Madison Street, east of its intersection with Farnham Street, at or near 347 Madison Street, Marshall, Wisconsin 53559. See also, Marshall Veterans Memorial Park, also at this location. 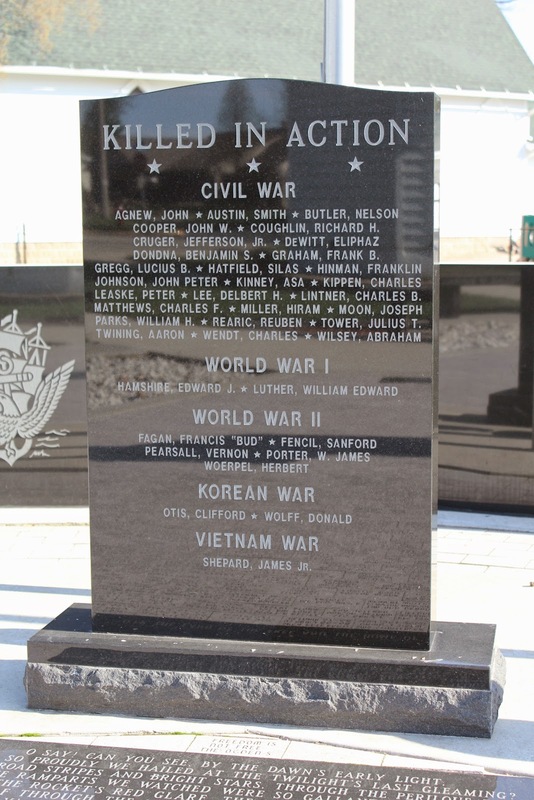 The memorial is located in Marshall, Wisconsin.